The Better Regulation Executive and government departments are not yet in a position to achieve value for money in their management of regulation. However, they have developed important elements of a structured approach to achieving sustainable reductions in regulatory costs and have delivered significant benefits. "Cutting the cost of regulation in a sustainable way without losing its benefits requires a structured and planned approach over a period of years. The Better Regulation Executive and departments have made a start on developing such an approach. The Better Regulation Executive and government departments are not yet in a position to achieve value for money in their management of regulation, according to a report published today by the National Audit Office. However, the Better Regulation Executive, created in 2005, and departments have developed important elements of a structured approach to achieving sustainable reductions in regulatory costs and have delivered significant benefits. Businesses generally recognise the purpose of regulation, but they believe that it can be unnecessarily burdensome, particularly on the smallest businesses. Businesses interviewed by the NAO typically have to consider as many as 60 regulations, governed by many different regulatory bodies. Businesses, particularly small and medium enterprises, are not clear on how to comply fully with regulation. The NAO found that departments are not communicating effectively with businesses about regulation. 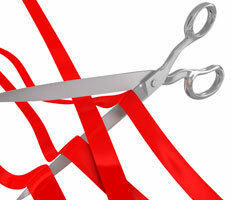 Businesses find it difficult to keep up with the extent of new regulation and changes to legislation. The BRE, which leads on regulatory reform across government, understands the issues of most concern to businesses, but does not have sight of the total scale of regulation faced by businesses. Following the change of government in May 2010, the Coalition Programme included several commitments to regulatory reform. The NAO found departments are currently conducting evaluations of their existing regulations, but they have not been taking a systematic approach and no overall attempt has been made to review the total number of regulations that businesses face. Furthermore, there is as yet no detailed plan for achieving the new Government’s regulatory reform objectives. Departments do not routinely evaluate the impact on business of regulation once it has come into effect. They are, therefore, not in a good position to make adjustments to improve regulation in light of experience.